Search Results for "tasty movies"
Beautiful woman watching movies, gets her order from waitress burger and french fries in cafe. A glass of mouth-watering popcorn. Smoothly rotates against a black background. Food for watching movies. Turn Popcorn Texture Cu. A texture of rotating tasty popcorn. Turn Beer Mug Popcorn Golden. A glass filled with fresh golden beer, rotating on a surface, together with a lot of popcorns. Yellow background. Cook garlic throws in the finished dish. Traditional Ukrainian borsch dish. Cook puts the plate in the finished dish. Traditional Ukrainian borsch dish. 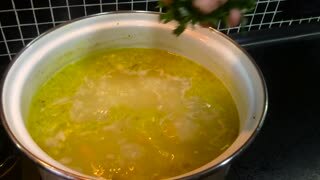 Cook adds cream to the soup. Traditional Ukrainian borsch dish. Popcorn is falling down into a red bowl. Getting ready before watching movies at home. 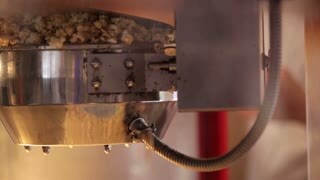 Pop corn being made in a hot air machine. Turn Popcorn Plain Yellow. A plain made of tasty popcorn, rotating over a yellow background. Turn Beer Mug Popcorn Foam Yellow. A glass filled with fresh golden beer and foam, rotating on a surface, together with a lot of popcorns. Yellow background. Son watching mom cuts red beets for lunch. Turn Popcorn White Ab. 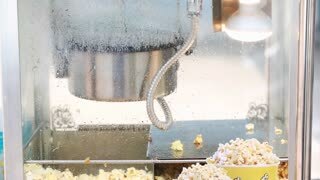 White tasty popcorn rotating. Close-up above shot. Slow Motion Movie with Relaxed Businessman Eating a Tasty Sandwich in Park. At Home Diverse Group Friends Watching TV Together, They Share Gigantic Pizza, Eating Tasty Pie Pieces. Guys and Girls Watching Comedy Sitcom or a Movie, Laughing and Having Fun Together.